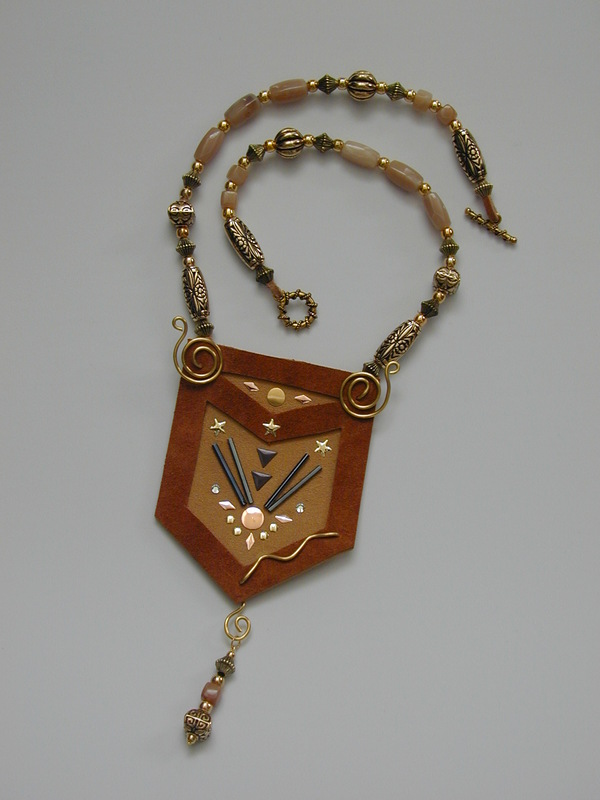 Have you ever created a piece of jewelry that you knew you would never wear? Every so often I get that urge to make something just to see how it turns out. I was in my leather phase when I created this piece. 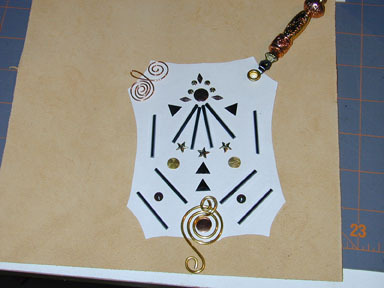 I started with this mock-up using a combination of suede, leather, wire, beads, crystals, and metal shapes. And this is the end result. I guess this illustrates an important lesson: even if you start with a “great” map, don’t be afraid to let your piece develop its own destination. Although I love the way it all came together, it is not something I would wear. My sister-in-law, on the other hand, loved it. Happy Birthday.